Sleep training for babies and young children can make a world of difference to infants, siblings, and parents. If you and your baby or toddler are having trouble establishing healthy sleep patterns, let me introduce you to some gentle sleep coaching methods that will change the way you feel about bedtime. As a certified sleep consultant, I provide several sleep training packages to address specific ages, common sleep problems, and developmental stages. There are few things parents find as frustrating as having a child that doesn’t want to sleep. As babies develop so do their habits, and that includes both how and when they sleep. Teaching your child healthy sleep habits will not only help with their mental and physical development, but often helps their disposition, allowing them to feel happier in general. This sleep training package is designed to help families in need of sleep to learn gentle sleep coaching methods and techniques to ensure your baby is getting the rest they need. This package begins with a 60 minute in home, phone, or Skype consultation. This consultation will include a full assessment of your child’s background, current sleeping habits and the sleep goals that you want to reach. At this point we will explore what sleep training options are available, answer questions, and address concerns to help you determine the sleep coaching methods you feel most comfortable with. 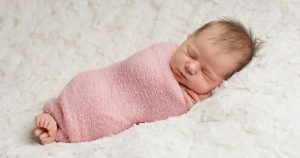 As a certified sleep consultant, I will provide you with a detailed, customized, step-by-step sleep plan for your child. This will be very easy to follow and will address any concerns we discussed during your 60 minute consultation. The next step is a 30 minute phone call when we can review the sleep plan together. Your feedback during this call we help to determine whether its necessary to make changes to your sleep plan. Throughout the next two weeks you have unlimited email/text support. Through these emails and text messages, we will be able to talk about any issues or concerns that have come up. Emails and text messages are typically answered within a few hours between the hours of 8 am and 7 pm. You’ll receive follow up emails monthly for 3 months. During these emails I will check in to see how your sleep training is proceeding. If adjustments are needed, I can review your plan, what has happened, and make any necessary changes to sleep and wake times, routines and transitions. There is nothing more special than bringing your newborn home for the first time. New adventures followed by lack of sleep can be very overwhelming. 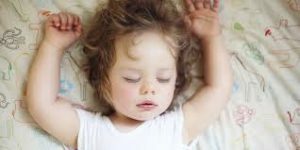 Although sleep training is not recommend at this age, learning healthy sleep habits from the beginning will lay down the foundation to a successful sleeper in the future. 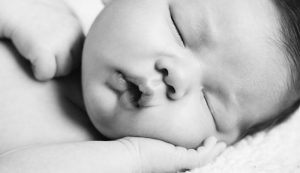 During a 60 minute phone or Skype consultation you’ll learn more about the science behind infant sleep, sleep accommodations, sleepy cues, what to expect over the next year of infant sleep problems and how to avoid them. A follow up email to the 60 minute consultation will include all of the topics we have discussed including tips to avoid future bumps in the road such as nap troubles and sleep props. I will also include a wake time chart to follow as your baby develops. Four follow up emails to be used within the four months. Prepare for your new bundle with a personalized Skype or in home visit. This informative package makes a great gift for new parents, expecting parents, and of course sleep deprived parents. Get a head start on setting the foundation for a smooth transition for your entire household. 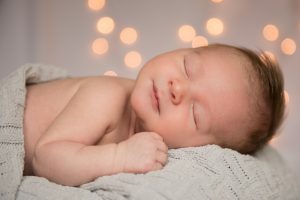 During a 60 minute Skype, phone or in home visit, we will go over healthy sleep habits to set the foundation of a great sleeper, the ABC’s of sleep, a proper swaddle, comfort techniques for your little one, nursery tips and tricks and much more. This will also included a customized guide to everything we went over during this 60 minutes. Unlimited text and email support for two weeks after bringing baby home. During this, we will answer any questions or concerns you might be encountering. This package is designed for parents who have little ones who sleep relatively well but have hit some minor sleep troubles. 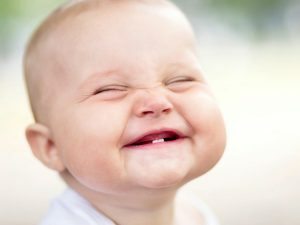 Minor setbacks are very common as babies develop. These may include early wakings, night wakings, milestones, sleep prop dependency, transitions and transitions to daylight savings time. A 60 minute phone consultation to asses the troubles you are encountering. During this consultation together we will go over some techniques and methods to eliminate these problems. You’ll receive a follow up email to review what we have talked about and step-by-step plans to work through these bumps in the road. Two follow up emails to use within two weeks of receiving your detailed sleep plan via email. This package is available to returning clients to have hit some bumps in the road. A child’s sensitivity to change can vary at times, and can affect their sleeping schedule. This refresher package is available to help those who just need a bit of help guiding their baby back to their dreamy slumber. During a 60 minute phone consultation we’ll assess the troubles you’re encountering. During this consultation together we will go over some techniques and methods to eliminate these problems. A follow up email to what we have talked about and step by step plans to work through these bumps in the road. Two follow up emails to use within two weeks of receiving your detailed plan via email. **In home training $200 – Add this to any package for in home sleep training. Typically the first night can be the hardest as your little one might not be happy about the new changes. This option is great for nervous parents who want the extra support as well as walk them through the first night. This will also include a recap of the night and any adjustments we might need to make. Travel fee $50. This is for travel within 100 km outside of Nanaimo. ** Based on a two hour home visit. * I do custom packages if your not seeing one that fits your needs. Complimentary 15 minute consultation- Not sure what your exact needs are? Or not seeing a package that would suit you and your family? This consultation is a great way for me to get to know you better and learn more about our services. © 2019 Tranquil Solutions. Crafted by Red Fox.